This hanging ceiling fixture comes in Satin Platinum with clear lattice glass shade. This Modern Bath Vanity will complement the decor in any room of your home. Made with solid steel construction to look great and last for years to come. Globe Electric's stunning pear-shaped clear glass Esplanade 1-Light Plug-In or Hardwire Pendant is a great way to add a whimsical feel to any room. The exposed chrome socket creates a modern industrial look while the wonderfully shaped glass shade evokes warmth and ambiance. Pair it with a Globe Electric vintage inspired or designer bulb for a truly unique design. Simple and inviting this piece is great for any space in your home. Leave it as a plug-in or hardwire it to your ceiling to create a variety of different long lasting looks. Includes all mounting hardware for quick and easy installation and requires one 60W equivalent E26 light bulb (sold separately). Add elegance to your kitchen or dining room areas with the Omega 5 light pendant with encased bubble crystals in clear glass shade and chrome accent. The clear cylinder glass tubes have decorative champagne bubble effect that gives a nice glow to any room. This beautiful light fixture will certainly make a statement. 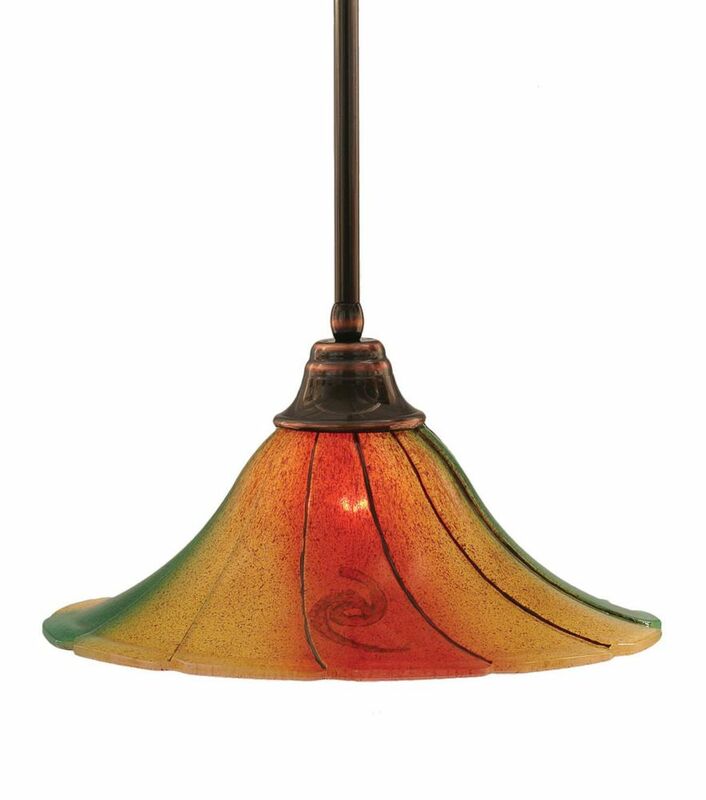 Concord 1-Light Black Copper Pendant Light Fixture with Mardi Gras Glass The cornerstone of the concord Collection is quality, and this pendant is no exception. Combining a classic black copper finish and posh styling, you will find no better way to highlight the charm of your home. With the superb craftsmanship and affordable price this fixture is sure to tastefully indulge your extravagant side.